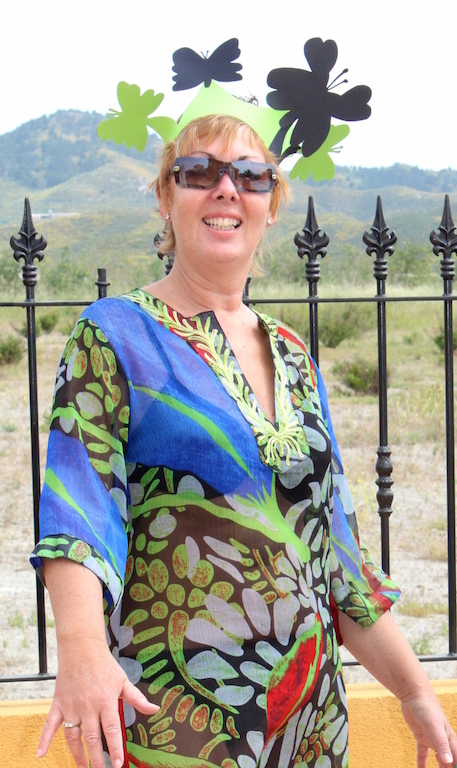 This week, Barbara Franken sits in our Expat Hotseat and answers a few questions about her life in Spain. Hailing from Holland, Barbara now lives in Benalmadena Costa. When did you move to Spain, and where from? In 2007 we left Holland to spend our early retirement in Spain. We spend 8 years living in Mazarron, Murica on the Costa Calida, living on an urbanisation Mazarron Country Club of 800 luxury villas, 10mins away from the coast in the mountains. My Dutch husband Tom and I moved away to spend time in a warmer and economic climate for our early retirement. Where in Spain do you live now? Last year we moved further down the coast to Costa del Sol… for a bit more action. We found a lovely apartment right on the sea shore in Benalmadena Costa. What things (apart from loved ones) do you miss from your country of birth? I’ve actually never missed anything from either my birth country England or my home in Holland, I’ve always enjoyed a new way of living, eating etc. Family and friends come and visit us and welcome us back on our holidays when we travel back each year. Do you work? As what? During our time in Mazarron I was self-employed, as a Property Management Company taking care of owner holiday villas and renting them out. I still rent out our own 3 bed villa on Mazarron Country Club. Since moving to Benalmadena I’ve been inspired to write… Your Magnificent Self… A Journey to Freedom, my first book which IAM launching in November. All the money made from my books will go into my Spanish Association that I have created that will fund my creative art project The Magnificent Consciousness that I bring into local schools and after schools to inspire them to explore, question and discover the natural environment and their relationship with it. How are you with speaking Spanish? I studied for 4 years but if you don’t use it everyday it is very hard to keep it up. I can get by and learn a little bit more each day. If you could change one thing about Spain… what would that be? People would not leave their rubbish lying on the floor. The weather and the reasonable price of food/drink. What are your favourite Spanish dishes? What is the predominant nationality of your friends in Spain? A mixture which I love. If you won the Euromilliones – would you still live where you currently are? Why? Why not? Yes, it is so beautiful and peaceful here, I might buy it instead of renting. If a movie was made about your life – who would play you? Why? Julia Roberts as she is quite down to earth and aware. If you had to describe yourself as a cocktail… what would you be, and why? Right – now is the chance to tell us all about your business/website/blog if you have one (or more of course). I love to express All that I AM through my Writing, Art & Photography, and consciously be my Magnificent Self; inspiring others along the way. 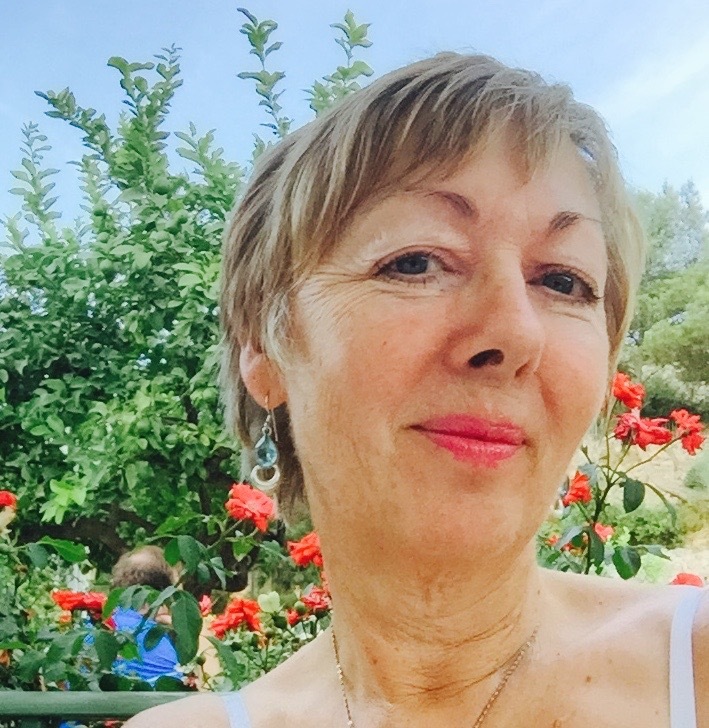 I live with my husband Tom on the beautiful Mediterranean Coast in Benalmadena, Spain and together enjoy a relaxed and balanced life; walking in nature, meeting interesting people, tasting good foods and wines and travelling to see friends and family. I hold the Vision of a Loving and Peaceful New Earth where Humankind, one heart at a time, realise the truth of their own magnificence as they choose to hear their Divine voice and allow themself to go beyond all that is known and experience a life of celebration, love, joy and freedom. I have had a magical experience journeying to this moment and have written my first book: ‘Your Magnificent Self… A Journey to Freedom’ to share with others about the potential of the New Energy Consciousness and how it inspires each person to choose love over fear and allow them to be their Magnificent Master Creator self, creating themself and their life anew beyond anything known.